Virgin Atlantic has boosted the sign-up bonus on its credit cards again. This is probably in response to the current increased bonuses on the British Airways American Express cards. It is also worth remembering that you can transfer Virgin Flying Club miles into Hilton HHonors points (at 2:3) and IHG Rewards Club points (at 1:1). Getting one of these cards may be a way of giving your Hilton or IHG account a boost. With IHG, the transferred points even count for status. Bits: Amex Gold / Plat £15 Amazon discount still works, what happened to BA's LCY-JFK A318? Since the change to the t&c to use the companion voucher last year, I think this is now a useful benefit, especially is booking in PE or UC. Economy tickets are too cheap to be adding any benefit: 2 x cheapest economy tickets is always going to be cheaper than 1 x semi-flexible economy + 1 x companion voucher taxes. 2 x cheapest UC/PE may not be cheaper than 1 x semi-flexible UC/PE + 1 x companion voucher taxes. This is especially true if you consider PE, even if you throw in 2 x redemption tickets. This is what I found earlier this year. 2 x PE redemption < 1 x semi-flexible PE + 1 x companion voucher < 2 x cheapest PE cash. But given that there was only 1 PE redemption ticket available on the dates I wanted to fly, the companion voucher came in very handy. And considering that I earned some miles by paying for the ticket, the difference between redemption and companion voucher wasn't much. UC not so much, you have to buy a J fare to use the companion voucher. J fares are like 7 grand each or something! As far as I remember the upgrade vouchers only hit your account at the end of the year. With the black card, when is it worth cancelling to ensure you receive the upgrade vouchers but don’t pay the new £140 fee? In my case, they hit my account a couple of days before the renewal fee. However as mentioned in the past, if the fee is charged first and then you see the vouchers afterwards, as long as the card hasn’t been used MBNA have given a refund. I wonder what Virgin will do when the MBNA can no longer offer the Amex card (and 2 points per £ spent). Surely they’ll need something competitive with the BAPP! Can you cancel the card before using the vouchers? 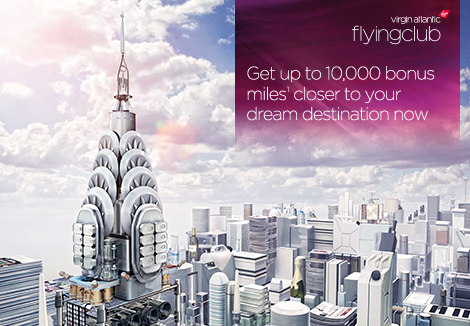 How much do you think that 1 virgin miles worth? It has a floor of 0.06p. This is the amount of discount you will get off Virgin fares for using them. Presumably, if you get a redemption fare then they are worth more. You should be able to get 0.75p to 1p for an Upper Class redemption, based on the cost of a cash ticket in a sale. However …. the snag with Virgin is that you need quite a lot of miles for a decent redemption unless you take a discount on a cash ticket. About the cheapest good redemption you could get would be a one-way in Upper Class to the US East Coast or Dubai. If you only have, say, 20000 miles then you can’t do anything useful with them and they are worth nothing (you could get a one way economy ticket but the taxes would make it worth very little in terms of cash savings). In that scenario moving to Hilton or IHG is a way of realising some value. You can also redeem small amounts for hotel rooms via their Kaligo.com portal or redeem 12,500 Virgin miles for a £50 Virgin Group gift voucher. There is one sweet spot HKG-LHR economy off peak for 12500 miles; peak for 22500 miles with minimal taxes (~32GBP) as HKG gov. does not allow fuel surcharges. With regards to the white virgin card, how and when do you get notified of the upgrade voucher from economy to premium economy? It appears in your flying club statement just after the anniversary of your renewal date. You dont get an email. It will definitely work, the card company cannot differentiate what you buy. fantastic Rob thanks, I need to purchase a few John Lewis gift cards. I imagine they will have them in-stock. They are interchangeable with Waitrose cards so definitely in stock. Usually on the tobacco counter, not normal tills. Recently when I handed a cashier at the Little Waitrose opposite Cannon Street a JL branded GC to pay she said, “Ooo, we don’t take JL GCs. They’re a different company”. “Try it”. Transaction went through. It’s really simple, Waitrose GCs are co-branded with John Lewis i.e it’s written there for all to see on the face of the card. Never seen single JL ones in Waitrose. I am assuming that things at MBNA will change once the sale of MBNA to Lloyds goes through? Hopefully they will keep it as a separate company. If we’re lucky they will merge the existing terrible operation into MBNA and let them run it. I doubt Lloyds will be able to stop itself firing half the staff and outsourcing the call centre to Bangalore though. I think they’ve dropped this for UK cardholders. When I click through to the airline partners there are no options. Have tried from three different browsers and am getting the same thing each time. Shame as I have thousands of Amex Rewards points that I want to transfer! Showing up fine for me. Someone else mentioned this recently – are you definitely on the UK version of the Membership Rewards site? I couldn’t link my Flying Club to my Amex on the website either so called the number on the back of the Amex card. They did it over the phone plus linked it so was available next time I logged in. Transfer of points was pretty much instantaneous. trying to link my amex account to my virgin account doesn’t work. has this been pulled. or do i need to add a number in front of my account number.. Call them, I think there’s a general problem about adding the new flying club numbers online…. I couldn’t get mine to link earlier this year.. I had to call as well, twice in fact as it didn’t go through the first time. Then a week later I noticed they had transferred over 2 x my points. Shame it was only a 1000. Is it possible to churn these Virgin cards for getting the bonus again? If so, how long would one need to wait before applying again? Thanks. It used to be specifically blocked but in the last year MBNA has lightened up (but only on Virgin, their other cards have kept the ‘no churn’ wording). There is no specific time gap. Sorry in advance if this is a stupid question, but these virgin cards are Amex-issued – If I have an Amex gold preferred rewards card, am I still eligible for the sign up bonus on the virgin cards? Or do I need to cancel my gold and wait 6 months? Another question: my current strategy is to take out a gold card, spend £2k, transfer the points out and cancel. Then 6 months later do the same (in the 6 month gap, I spend 10k on the BA Premium Amex, get the voucher and downgrade to the free BA Amex). Would this be deemed too aggressive by Amex? Or does everyone do this? I think you’ve misunderstood – the Virgin ones are MBNA cards, not Amex-issued ones!! So no problems at all with having PRG. Your plan with PRG/BAPP sounds similar to what many folk on here do, so can’t see that being an issue. I wouldn’t worry too much about being too “aggressive” with Amex. We do 3 x cards every 6 months. If you transfer Flying Club miles to Amex Reward points… can you then transfer to Avios? I can confirm Heathrow Clubhouse offering 12,000 for white and 32,000 for black for applications made in the lounge. Good to know – hopefully still running next month, although on the downside there’s rumours of the laptop/tablet/ereader ban being extended to Europe by that point – really hope that doesn’t happen! Flying Club rep in the lounge said their bonus offers on both cards are permanently available and you just need to go see one of them and they will run through the application with you on their iPad. Another difference is that there is NO MIN SPEND requirement if you apply in the lounge so the full bonuses will trigger as soon as you spend on the card. I’ve just applied for the white card and got an immediate acceptance so will see if the 12k posts as soon as I buy a coffee…..will report back in due course. Didn’t think to ask but worth checking….you’ll probably be the first to apply for both at the same time! Certainly happy to give it a go, will go for the Black one first as that’s a good price point for the points purchase! Useful bit of info… just went to cancel my Virgin white card after 2 years, was offered 5000 miles for a £1000 spend over 90 days. Good reason to keep it on a bit longer! Very interesting – presume you were cancelling over the phone?